MAURA’S GAME is the unputdownable sequel to DANGEROUS LADY, the iconic first novel by Sunday Times No.1 bestseller Martina Cole which catapulted her to fame and made her the ‘undisputed queen of crime writing’ (Guardian). Maura Ryan was the queen of the criminal underworld when she pulled off the most audacious gold bullion robbery of all time. Since then, she’s retired from a life of crime to be with the only man she’s ever loved. 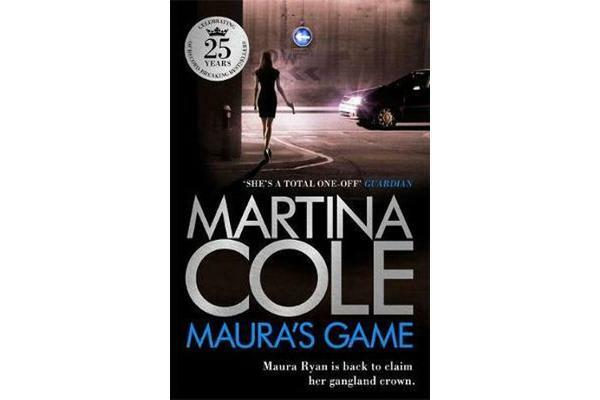 We know you’ll be hooked on Maura Ryan, so be sure to first read the gripping prequel to MAURA’S GAME, DANGEROUS LADY.